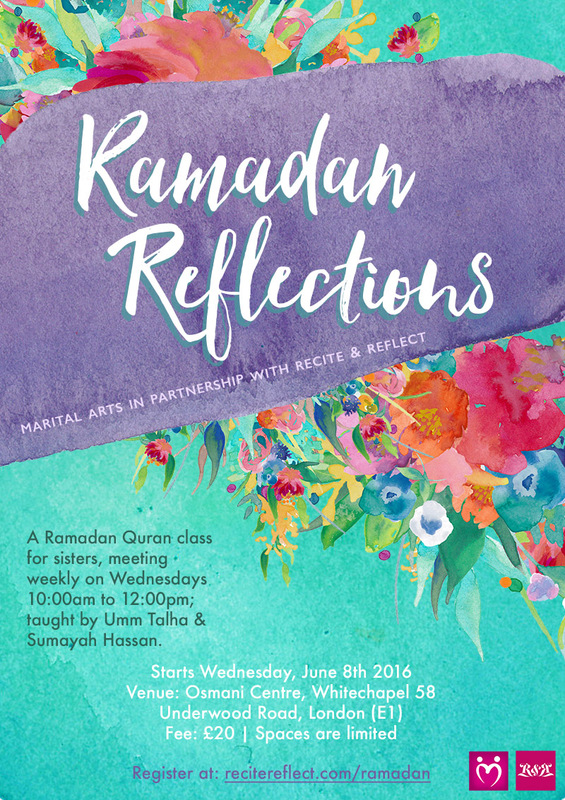 A Ramadan Quran class, offered by Recite & Reflect in partnership with Marital Arts, taught by Umm Talha & Sumayah Hassan. This course is running only in the month of Ramadan, where sisters can come practice their tajweed by reciting the Quran with a group and brief reflections are being shared by the instructor. The intermediate group will be taught by Sumayah, and the advanced students will be with Umm Talha. Each group has a maximum capacity of 20 students. Breastfed babies are welcome. The classes are for sisters only | Breastfed babies allowed.